Jo Adell climbed three levels in the Angels system in his first full season in the Minor Leagues. He'll begin the spring with the club's Major Leaguers. MLB.com's No. 15 overall prospect was invited to big league Spring Training along with 20 other non-roster players, a group that includes fellow top prospects Griffin Canning, Brandon Marsh, Jahmai Jones and Matt Thaiss. 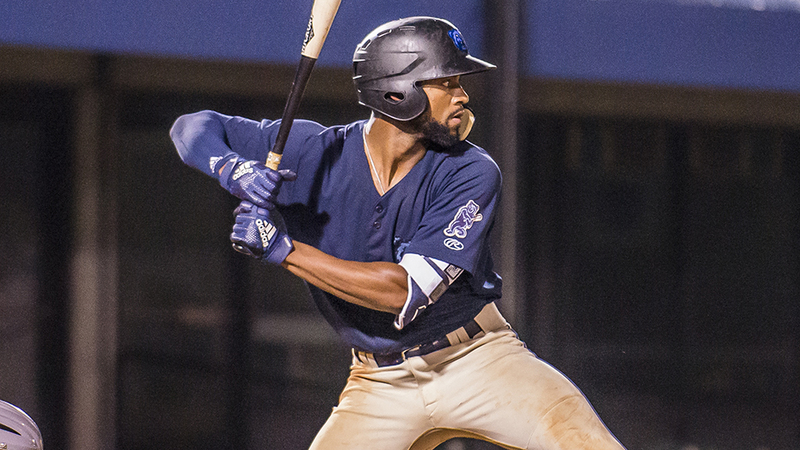 Adell, selected 10th overall in the 2017 Draft, started last season with Class A Burlington and ended it with Double-A Mobile. In between, he played 57 games with Class A Advanced Inland Empire. Overall, the 19-year-old outfielder batted .290/.355/.543 with 20 homers, 77 RBIs, 83 runs scored and 15 stolen bases. "You're talking about a super athlete, and he goes out there every day and is just fun to watch. He's a special player," Inland Empire manager Ryan Barba told MiLB.com in November. "He's loaded with talent but still continues to work hard every single day. He's a guy that can do a lot of different things. Hopefully, he'll be in the big leagues soon, but all I can say is: he's a special talent." Adell was selected for the Futures Game, where he doubled, hit a sacrifice fly and scored a run. He also was named an MiLB.com Organization All-Star for the second year in a row. Like Adell, Canning -- MLB.com's No. 72 overall prospect -- starred at three levels last season. The 22-year-old right-hander started a pair of no-hitters for Double-A Mobile, pitching five innings in a 1-0 blanking of Montgomery on April 28 and striking out eight over 4 1/3 frames in a 9-0 romp over Birmingham on May 14. He began 2018 with Inland Empire and closed it with Triple-A Salt Lake, combining to go 4-3 with a 3.65 ERA and 1.26 WHIP in 25 starts. The UCLA product totaled 125 strikeouts over 113 1/3 innings. Marsh is ranked 98th overall by MLB.com after compiling a .266/.359/.408 slash line with seven homers, 46 RBIs and 10 steals in 93 games for Class A Burlington and Inland Empire. Selected in the second round of the 2016 Draft, the 21-year-old outfielder did not make his pro debut until the following year due to a stress fracture in his lower back. He made up for lost time by hitting .350/.396/.548 with Rookie-level Orem.